* This workshops can be counted towards completion of the MMC Institute for Teaching Excellence (MITE) General Teaching Certificate program. For over 25 years, Dr. Ron Epstein has been passionately devoted to promoting physician self-awareness, mindfulness and effective communication in clinical practice. He is widely regarded as an exemplary family physician and palliative care physician, and now devotes the majority of his time teaching, researching and writing about communication and mindfulness in health care. As a researcher and educator, Dr. Epstein has developed innovative programs in mindful practice, communication skills, physician self-awareness and assessment of professional competence. His seminal work on mindful practice and shared mind has provided theoretical underpinnings for program development and research on physician mindfulness and effective communication. His research demonstrates how these efforts can positively influence the patient-physician relationship, physician resilience and quality of care. 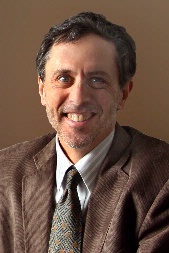 He is Professor of Family Medicine, Psychiatry, Oncology and Nursing at the University of Rochester School of Medicine and Dentistry where he directs the Center for Communication and Disparities Research, the Deans Teaching Fellowship program, and Mindful Practice programs. Dr. Epstein graduated from Wesleyan University (1976) and Harvard Medical School (1984). Among his accomplishments, he was named the first George Engel and John Romano Dean’s Teaching Scholar at the University of Rochester. National honors include the Lynn Payer Award from the American Academy on Communication in Healthcare for lifetime achievement in research on communication and health and the Humanism in Medicine Award from the New York Academy of Medicine. During two sabbatical years, he was a Fulbright scholar at the Institute for Health Studies in Barcelona, Spain and a visiting scholar at the University of Sydney. He has published over 240 articles and book chapters. He is a frequent keynote speaker at major national and international conferences on communication, decision-making, medical education, and mindfulness in health care. He is an accomplished harpsichordist, and enjoys cooking, bicycling and cross-country skiing. His wife, Deborah Fox, is a freelance lutenist and founding artistic director of Pegasus Early Music. They have two children, Malka and Eli.